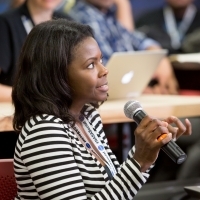 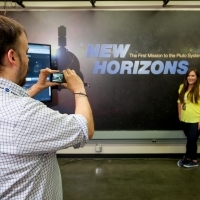 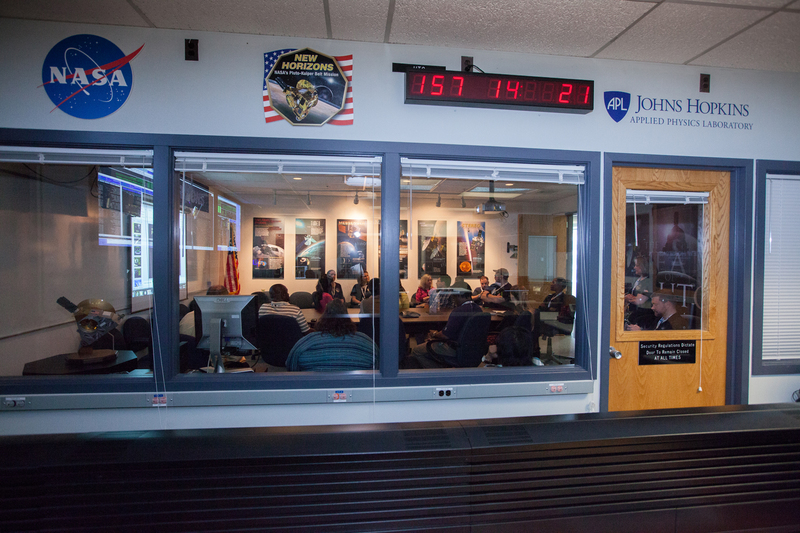 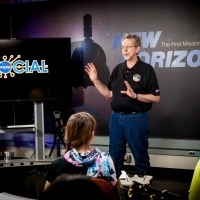 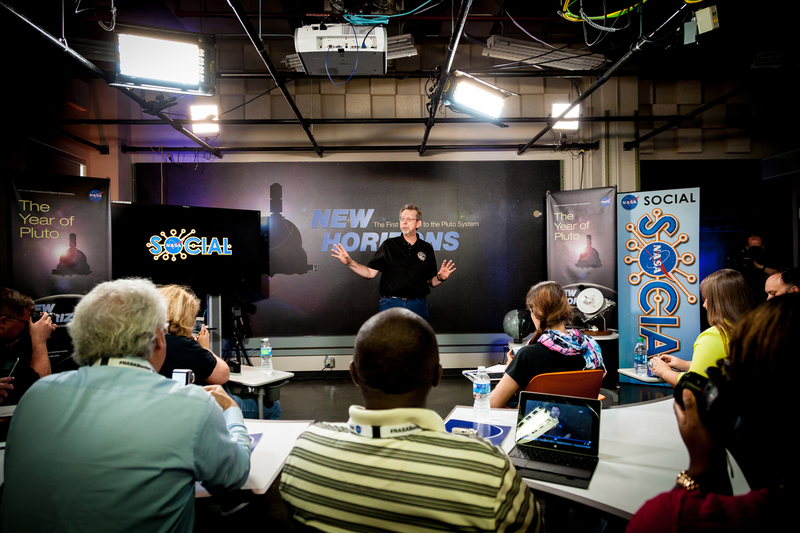 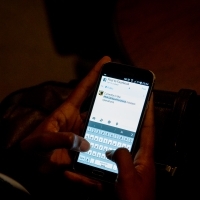 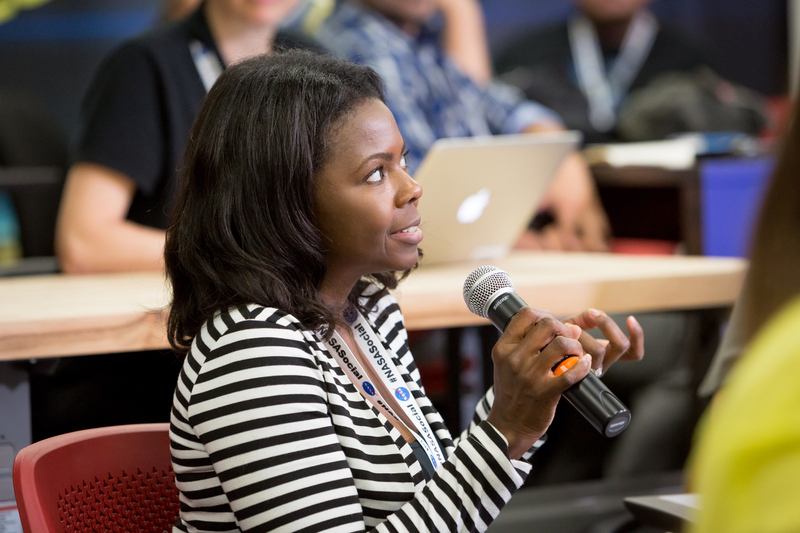 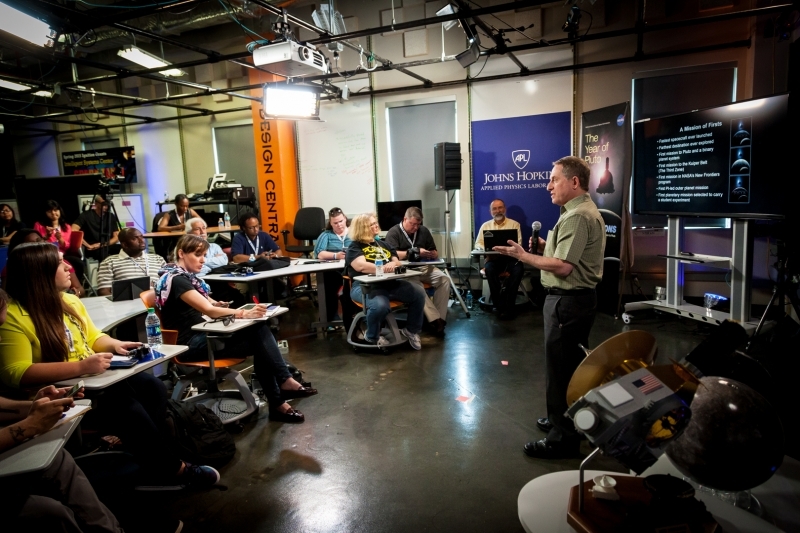 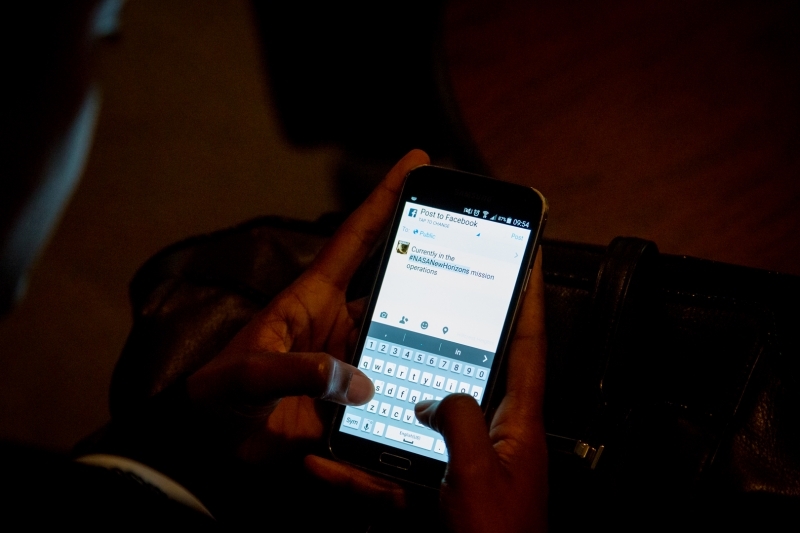 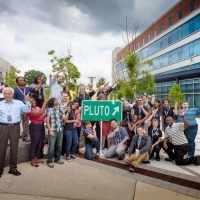 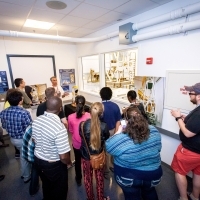 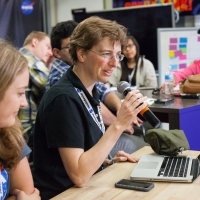 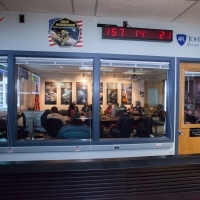 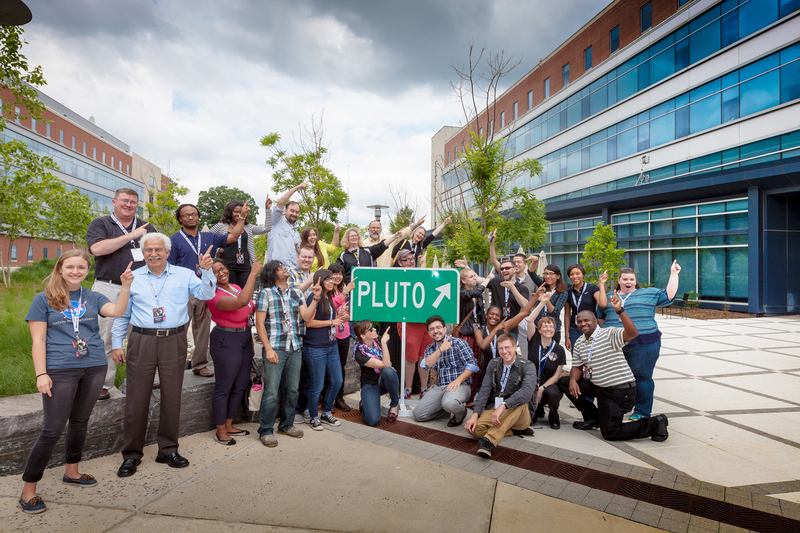 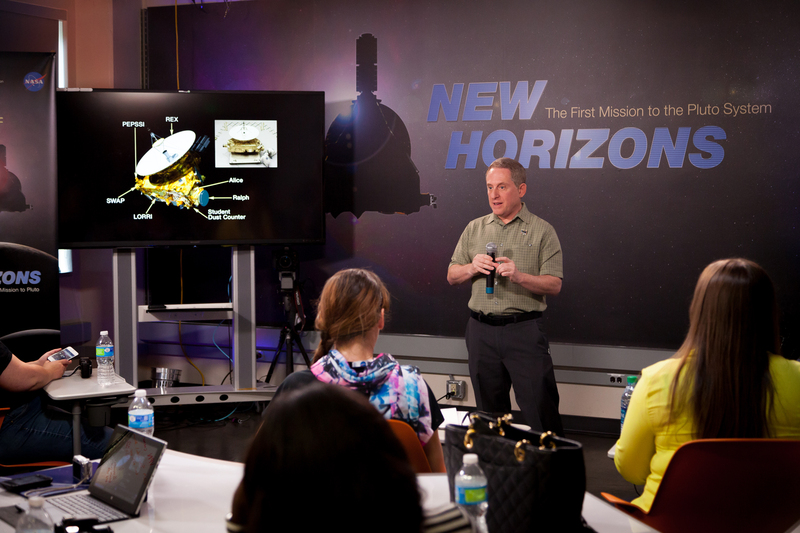 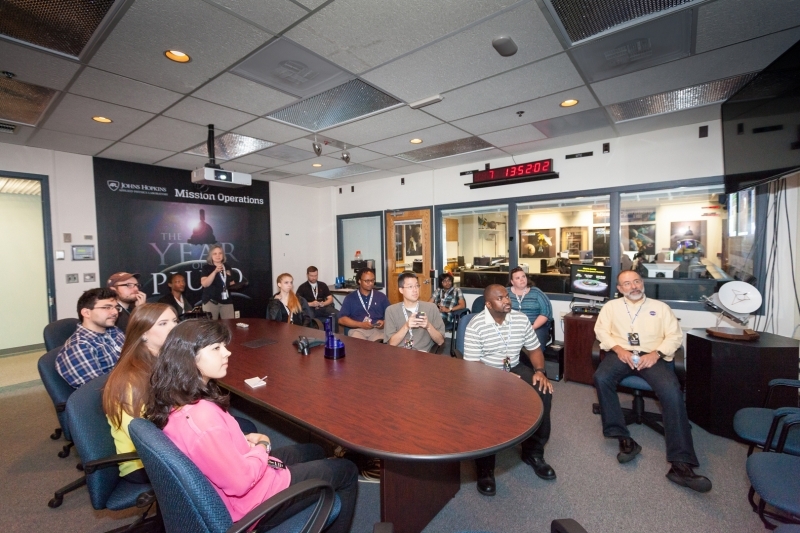 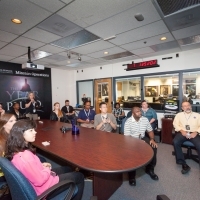 The Johns Hopkins Applied Physics Laboratory welcomed science bloggers, independent writers and educators for one of two New Horizons NASA Social events on June 6. 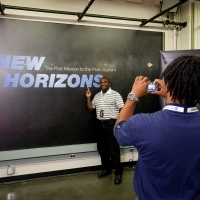 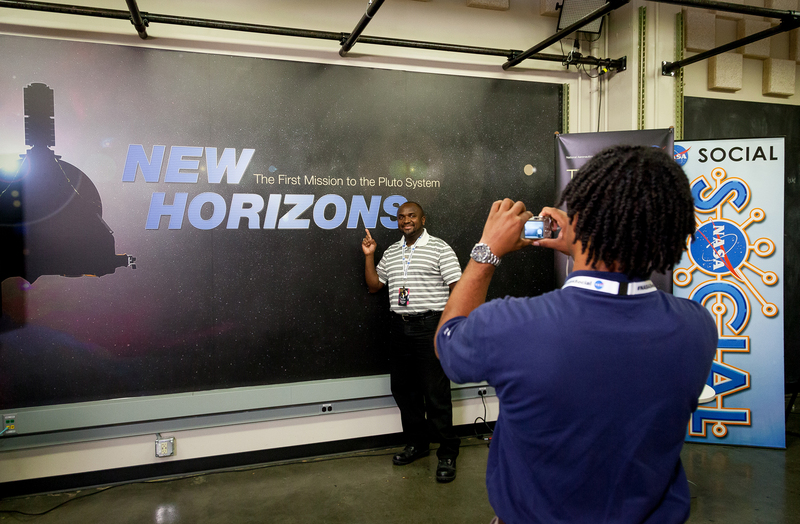 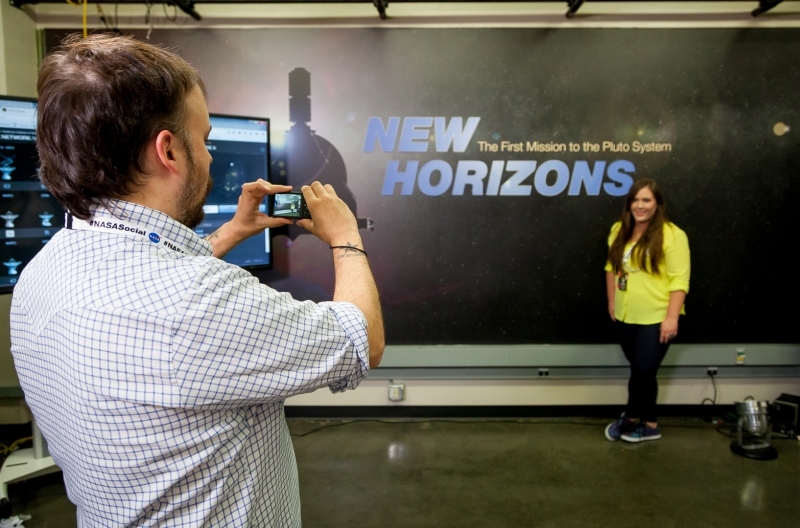 Guests learned details about the New Horizons mission to Pluto and beyond, and got an inside look at APL and its spacecraft construction and testing facilities. 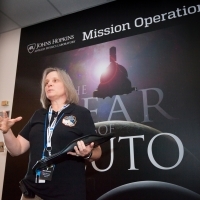 Alice Bowman is the New Horizons Mission Operations Manager (MOM). 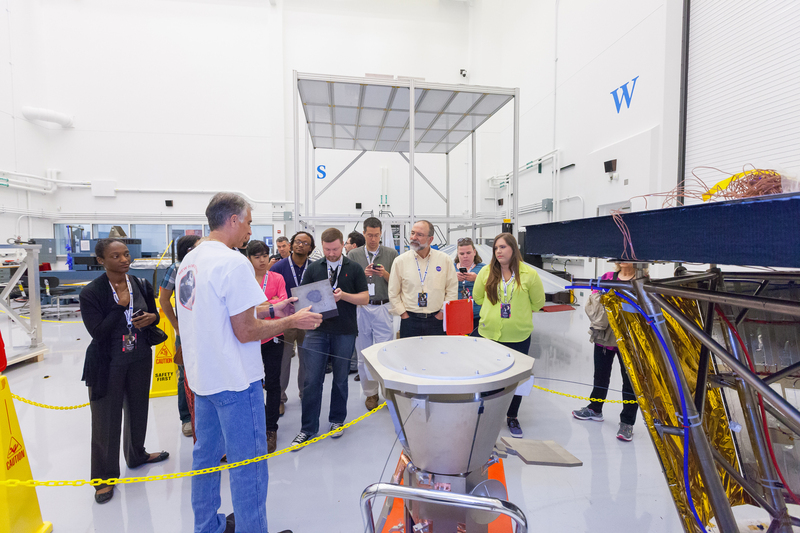 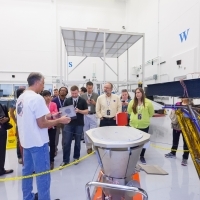 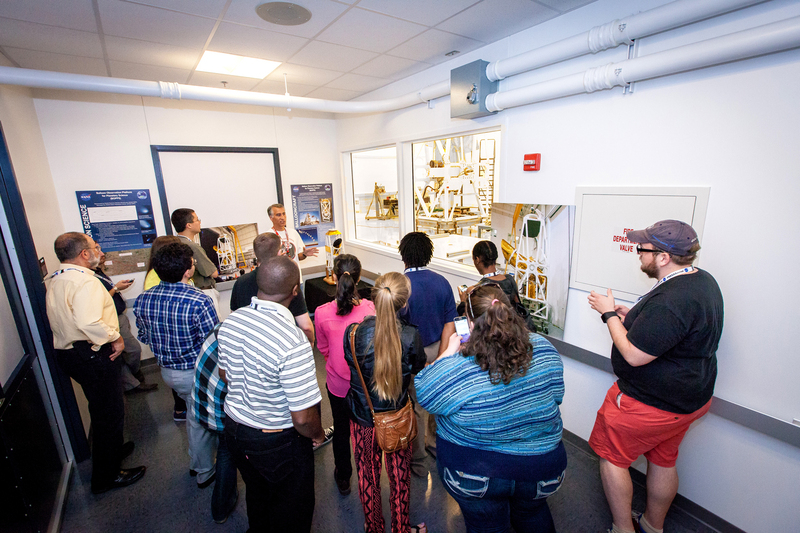 Hadi Navid of the Johns Hopkins University Applied Physics Laboratory's Space Exploration Sector gives visitors a tour of the Lab's Environmental Test Facility, where spacecraft are assembled and tested. 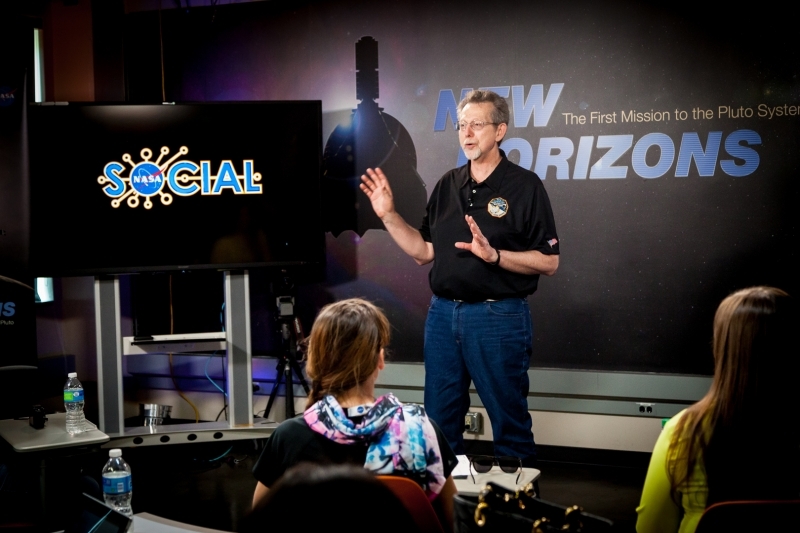 Jim Green, director of the Planetary Science Division at NASA, welcomes science bloggers, independent writers and educators to the Lab. 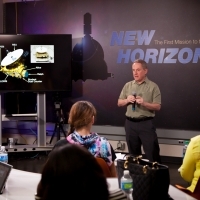 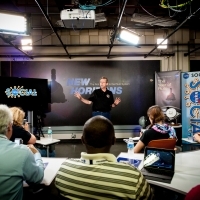 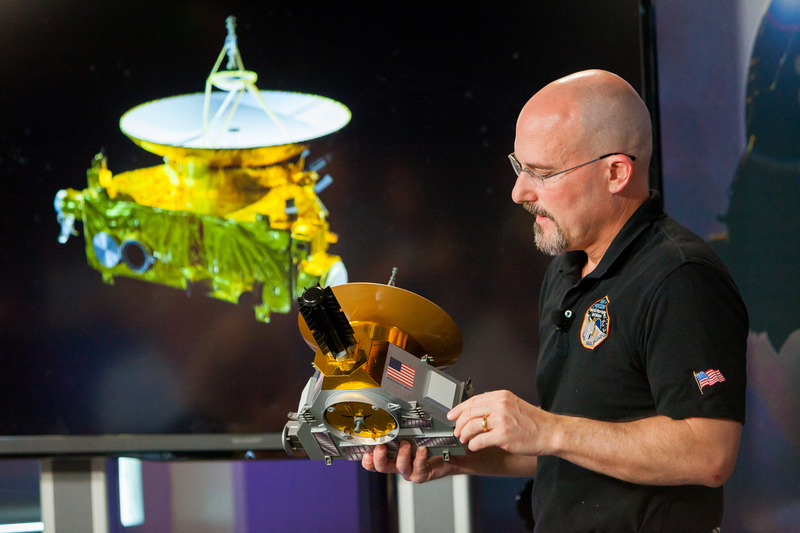 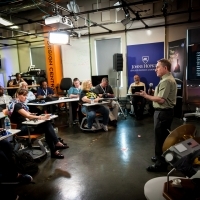 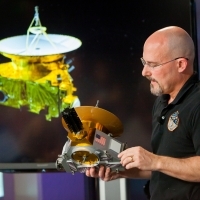 Chris Hersman, assistant chief engineer for the Johns Hopkins University Applied Physics Laboratory's Space Exploration Sector, presents a replica of the New Horizons spacecraft to visitors. 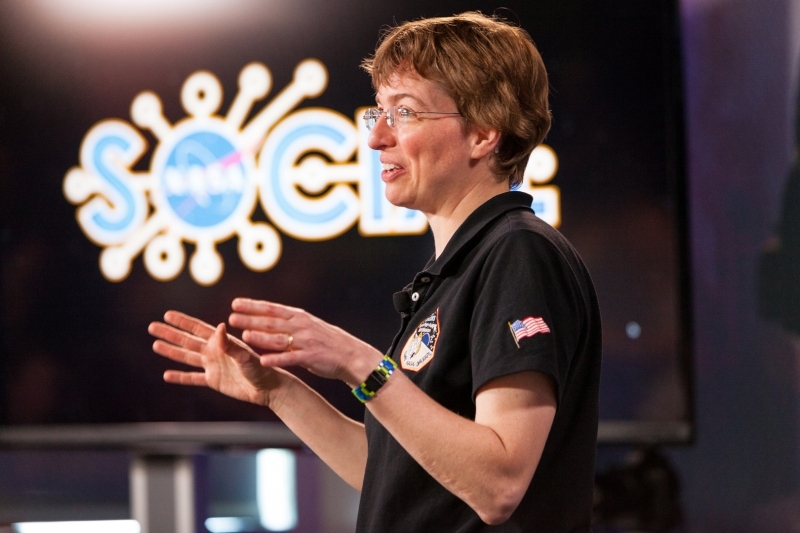 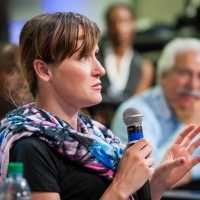 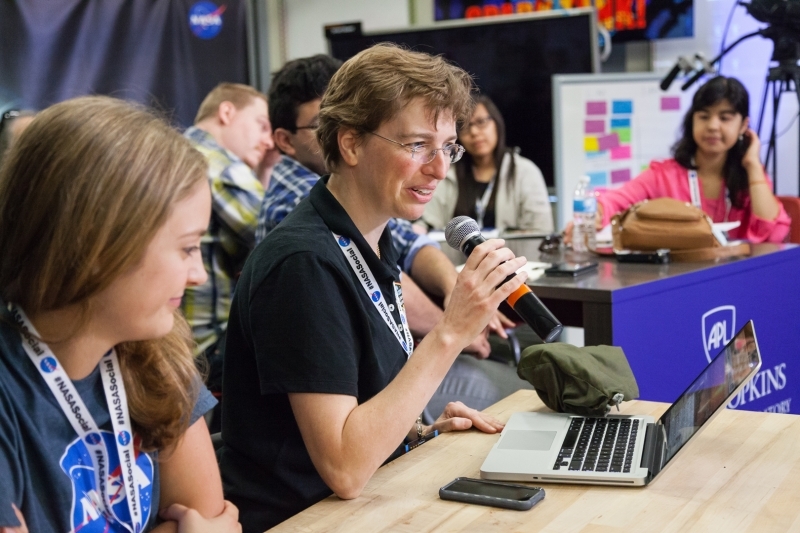 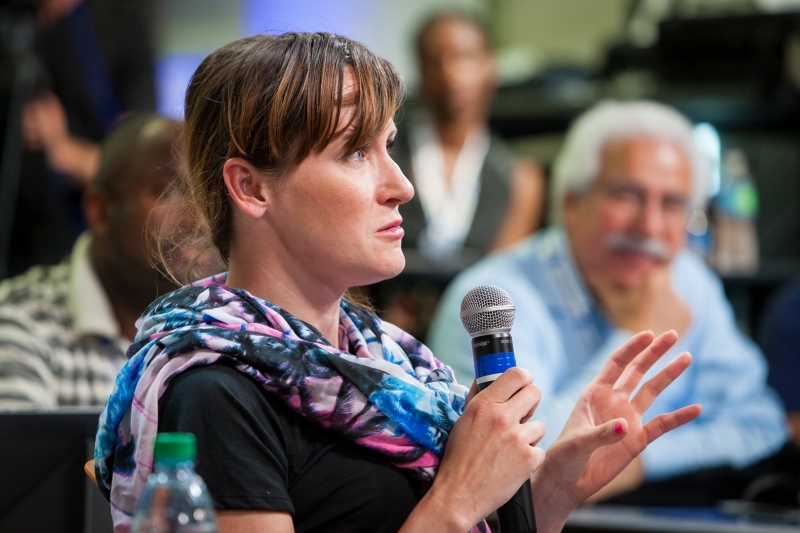 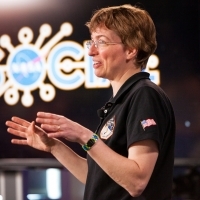 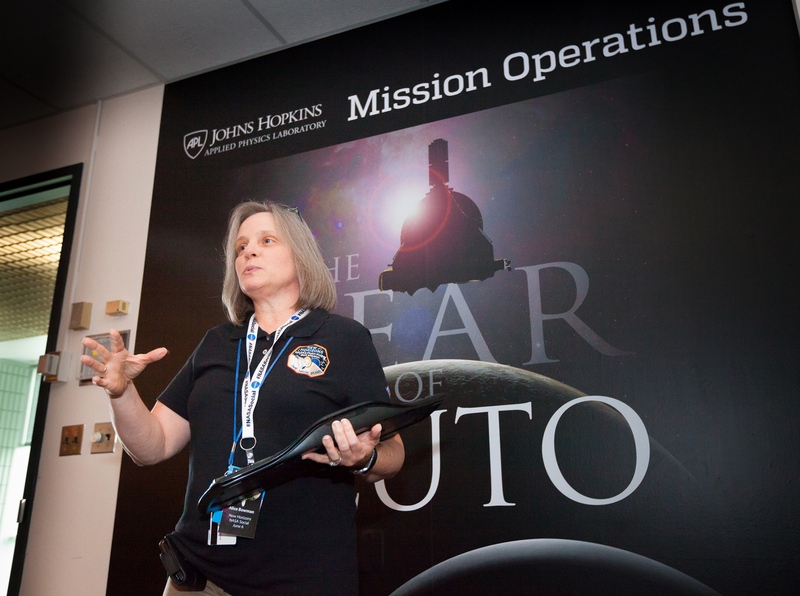 NASA's Kimberly Ennico, New Horizons deputy project scientist, is one of the many presenters for NASA's Social event.